Raining cats and dogs? Grab your brolly. Raining sinister chickens? Call Spy Dog. Yup: your favourite MI5-trained Spy Dog is back. But there’s a storm on the horizon. Take off those sunnies, Lara! A freaky storm cloud is hovering over Brickfield town. It smells sort of… chickeny. And the townspeople have been acting very weirdly since it arrived. 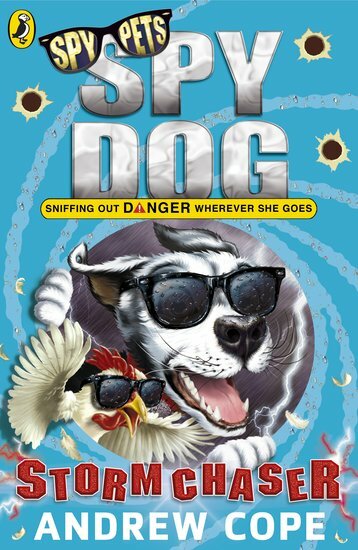 Blow us down with a feather – Spy Dog suspects fowl play!